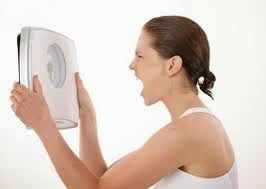 Why do I put on weight during my menstrual cycle? This is a kind of continuation from the last post. 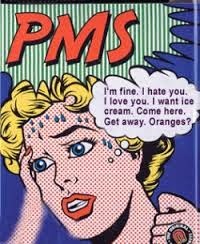 I mentioned earlier that the feeling of being bloated could also be because; one is on her menstrual cycle. Well for some including me, its a major concern which we cant really do much to change, but we can try to reduce that feeling. Its so bad that i even add up to 2kg at that time of the month. Since i noticed this, i don't bother weighing myself during that time. Its quite common with most women, hence they feel they are not making any progress with their weight loss. I crave sweets and meat days before, and i get bloated. The body retains water, you feel constipated. Food cravings and over eating. Mine starts days before. Lol. Magnesium level in the body decreases which makes people like me crave meat and salty food. Now you see why its good to take multivitamins? Excess gas (bloating)in the tummy which is also brought about by being constipated. I try to drink lots of water during that time of the month to help flush my system. I try to reduce salt intake so that my body doesn't retain water. Generally foods that are high in sodium. 'Pringles' lovers watchout! Lemon water in the morning helps a lot. It helps me pee a lot so as to get rid of the water weight. I try to eat more veggies at that time, especially green ones. They are high in magnesium. Generally, i try my best to eat wisely because its very easy to derail with all the cravings. I try to control myself by putting my mind on other things. Ko easy. But really, after your period, the feelings (being bloated and craving) actually subsides, although, if care is not taken, one could add extra kilos by nibbling too much. Do you feel these things too, and how do you manage them. Pray tell. Lol. I hope these tips help. Take care and God bless.